As part of the production work involved with the Southlands project, Anna Meyer created some excellent maps! You can read about (and see) her process in this two-part interview! When did you decide to become a cartographer, and why did you make this choice? I’ve always had a fondness for maps since I was a kid, and it was one many aspects that made me interested in RPGs in the first place. 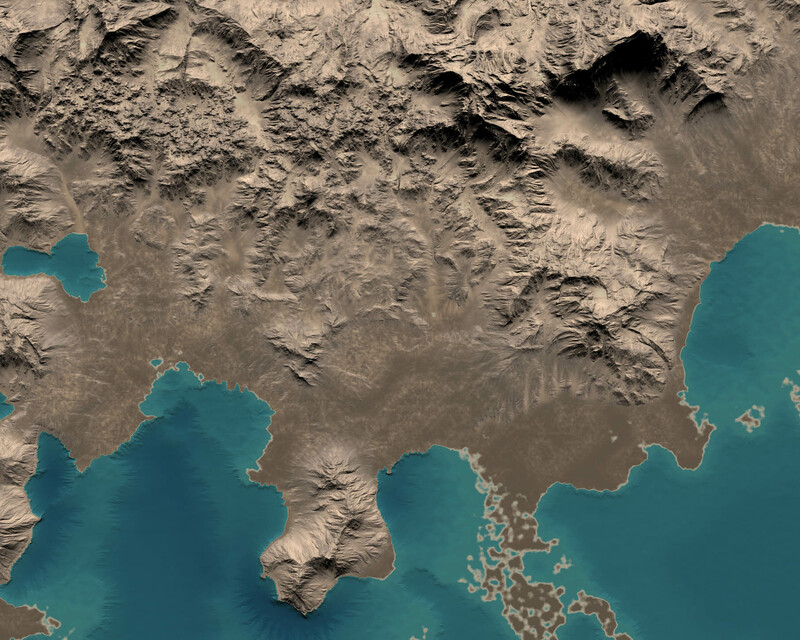 Cartography specializing in fictional worlds plays on three of my biggest passions: gaming, landscape photography, and watching landscapes from the air. Maps fill a small but important part of the roleplaying experience, and I see my job to try to make as much of that part as possible. 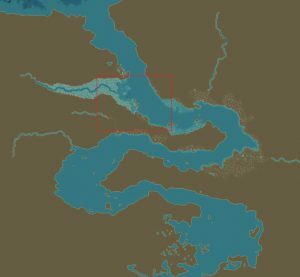 I want to make maps that are inspirational and functional, and to help both players and GMs improve their gaming experience. Just like rule systems and settings differ a lot to accommodate different genres, play styles and themes, the same goes for maps. Some maps need to be very informative, while others should inspire and set the tone of things. The challenge of trying to balance the usefulness and beauty of maps for RPG settings is what drives my work. 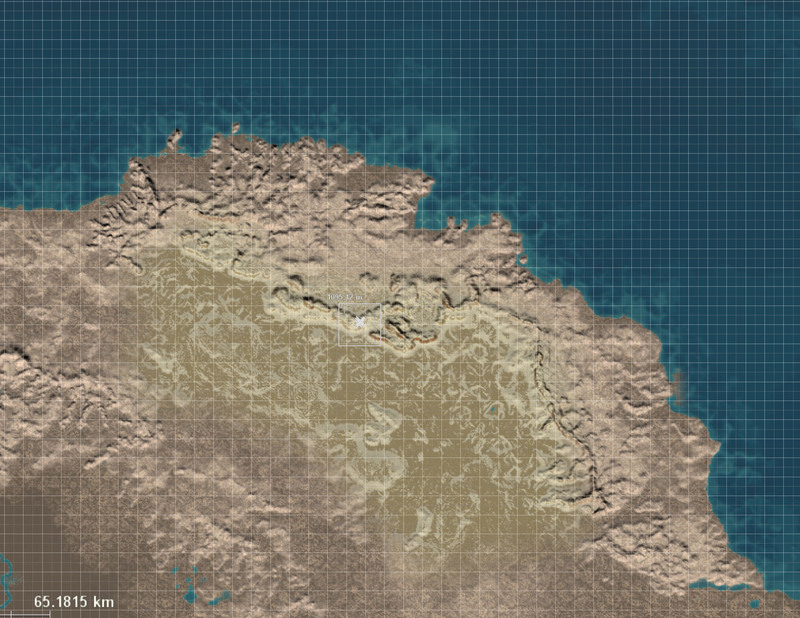 Very much like a game designer tries to improve and come up with new games and rules to make gaming better, I try to do the same with the maps. Please tell us a little about your work style and technique. Do you start with hand sketches first and then progress to digital? 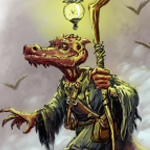 My style differs a bit from what has been the norm in the RPG industry. Elaborate maps are often true works of art painted either the traditional way or digitally or a combination of old and new. My approach is closer to what is the norm in computer games and the movies—it’s almost completely digital. 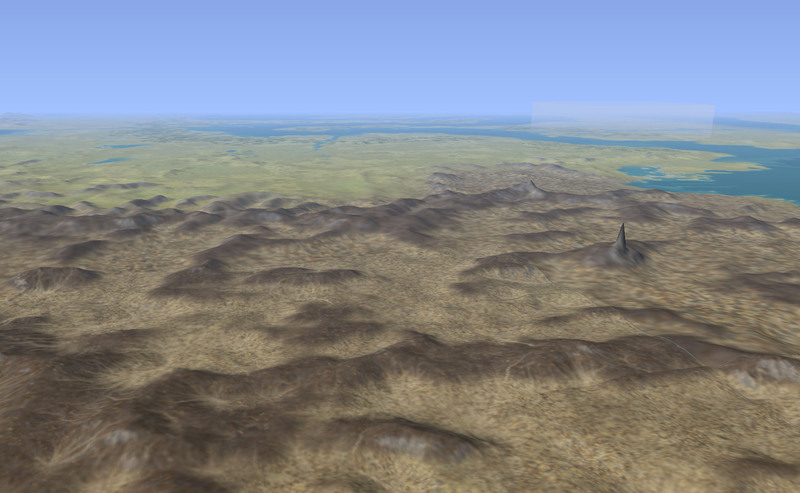 I create a 3-D computer model of the landscape in question: a blend of fractals, textures, colors, symbols, and text. About half of my work is procedural, meaning it is a kind of programming to try and find the right fractals and how to blend them. The other half is traditionally artistic: paint textures, fractals, blending colors, and things like text and symbols. 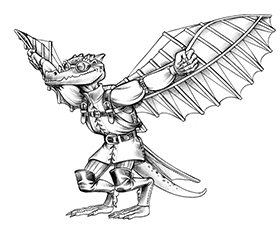 The tools I use are an assortment of 2-D and 3-D programs. My 3-D tools are World Machine, Vue, Sketchup, Blender, and a few other small programs for various special needs. 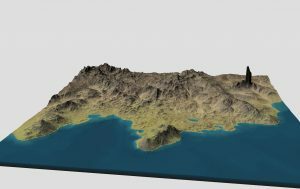 I use 3-D tools for terrain and object creation and to render the images used for the final map. The more traditional 2-D tools I use are Adobe’s Creative Suite, and most used are Photoshop and Illustrator. 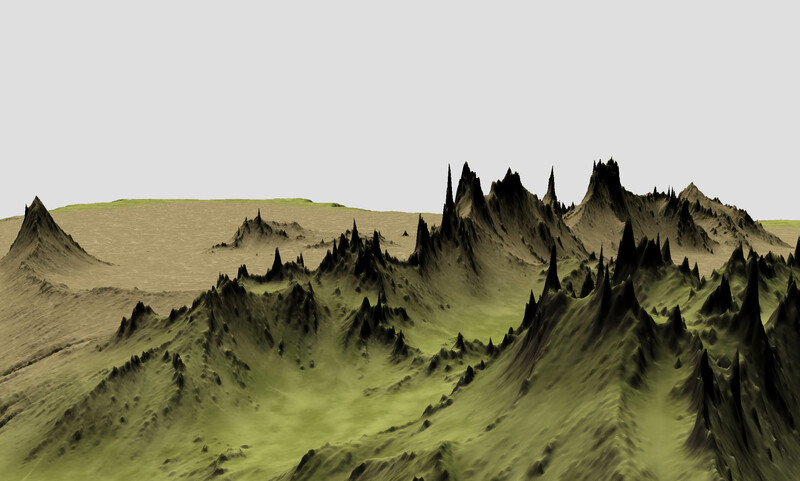 I use Photoshop to create color patterns and then blend them together into textures used to color my 3-D terrain, then again to edit and touch-up the rendered images. I use Illustrator to create symbols and text, and to merge all the parts together to form the final map. I usually start by drawing a very simple map showing the coastlines and a few scribbles here and there for hills, mountains, and lakes. 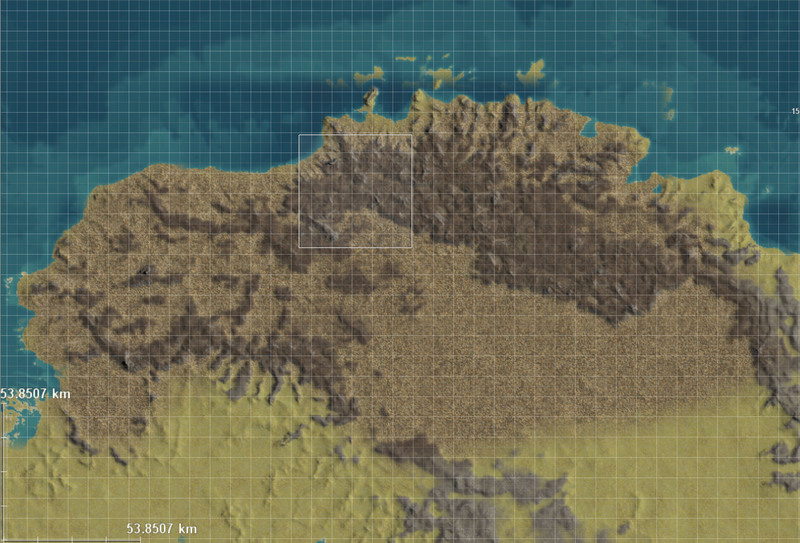 Then I add text snippets of details from the written material like “Evil Kingdom,” “harsh desert,” “prosperous farmland,” “rich mining,” and “pirate coast.” In a fantasy world, all sorts of things that we are not used to in the real world should affect the landscape, so I try to make that into the final map. This part was done in close cooperation with the others of the Southland team with Skype calls and lots of text drafts sent back and forth. 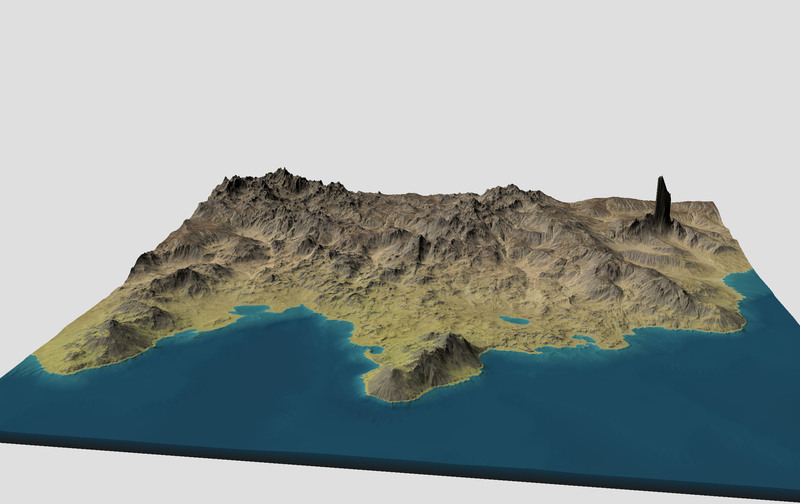 When I have a rough idea of the size and scope of the project, I start creating my “canvas,” meaning I take the rough coastlines from the paper and recreate them in World Machine as a base to work from. The next step is to try to find the sight look and feel of the landscape, and for the Southlands project that meant many different types of landscapes. Since it is loosely based on Africa, that is where I started. 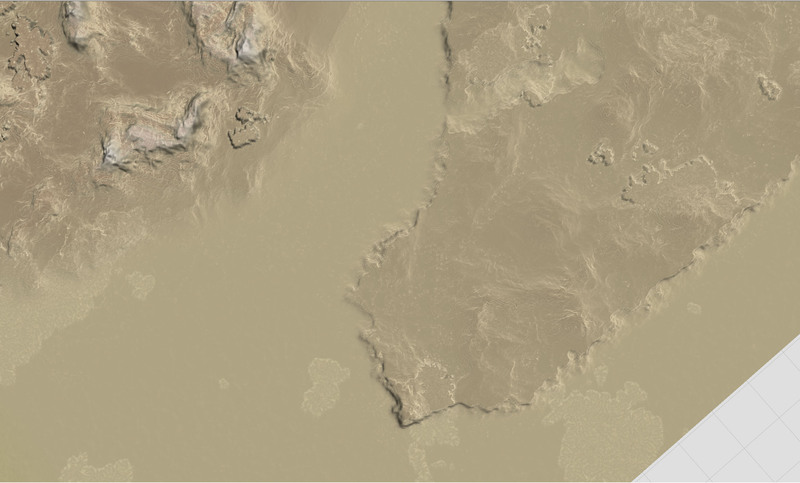 Satellite images and nature shows of Africa were on the agenda as I tested fractal combinations, color, and texture blends to try to find an expression that I felt was right. This is a fun and creative part of my job that I could spend forever with if I had time, but results are needed so a few days to a week might have to make due. 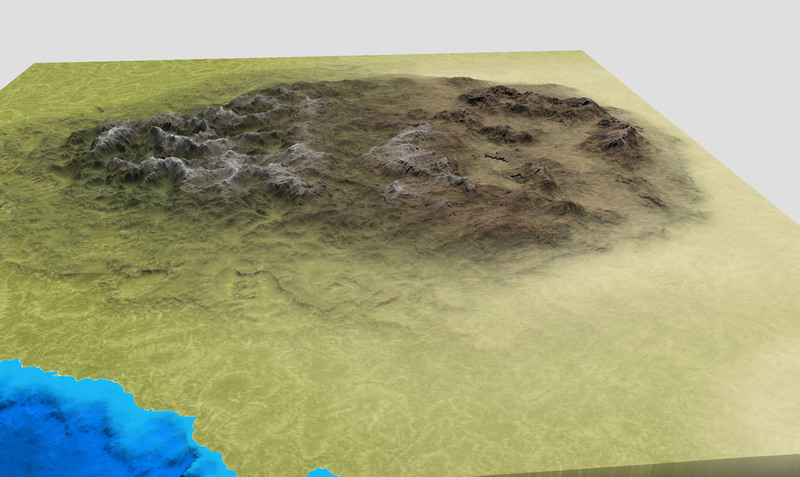 Next on the agenda is to make the terrain work together. Pulp fantasy is full of deep jungles, dry deserts, and tall mountains, but to create a continent you need to make them work together. 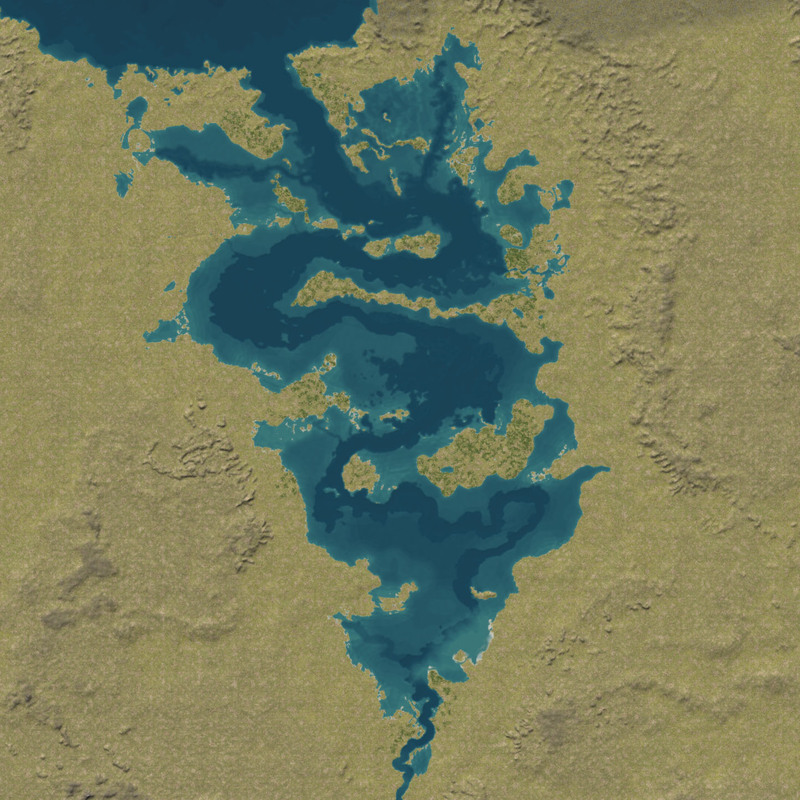 Trying to create the boring middle ground, and fill those vast plains and large expanses that great fantasy is full of, is what is often makes or breaks a good map, in my opinion. So this aspect needs to be taken as seriously as the iconic parts! 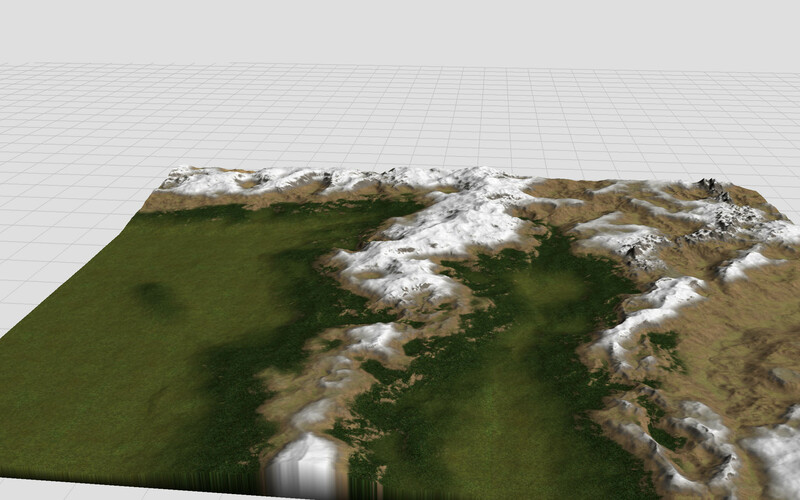 Now when the building blocks and basic settings are in place, its time to work on the terrain features. 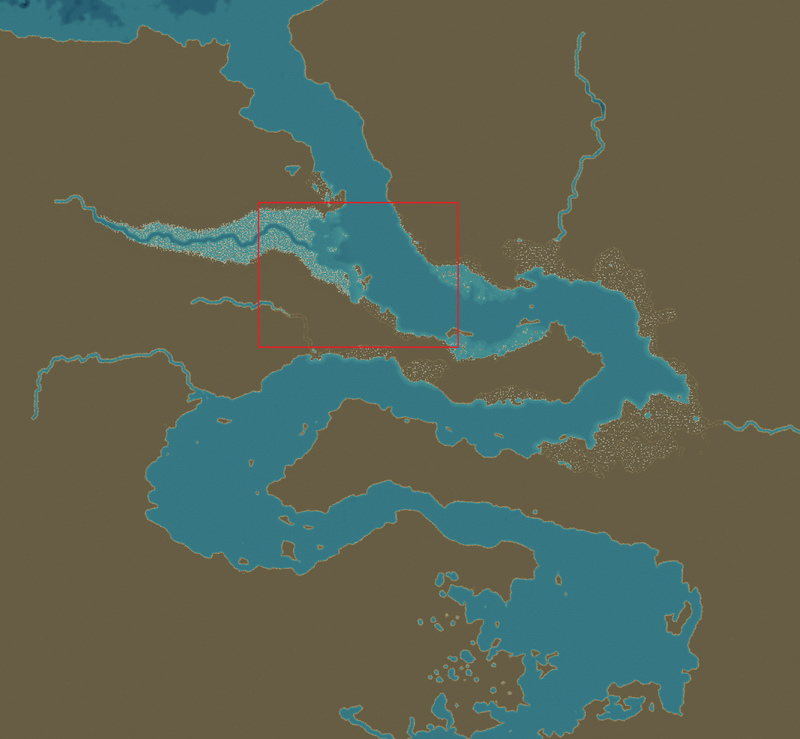 Coastlines, rivers, lakes, hills, mountains, and much more needs to be placed. This is very much a “play with fractals” to try and find what generates the desired result, and sometimes things come up by accident. Very much like evolution but with me being the one to decide what will survive and what needs to go. As a cartographer, you get to play God in your own virtual world, which is mostly fun but at times both tedious and frustrating. Watch for the second part Friday! 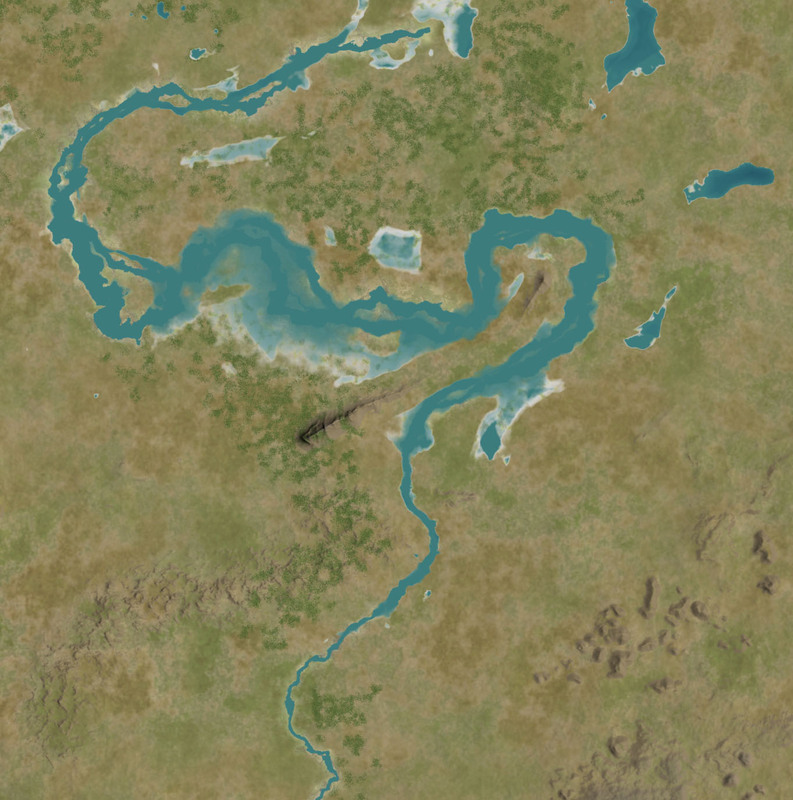 You can also see the final maps in the Southlands Campaign Setting. 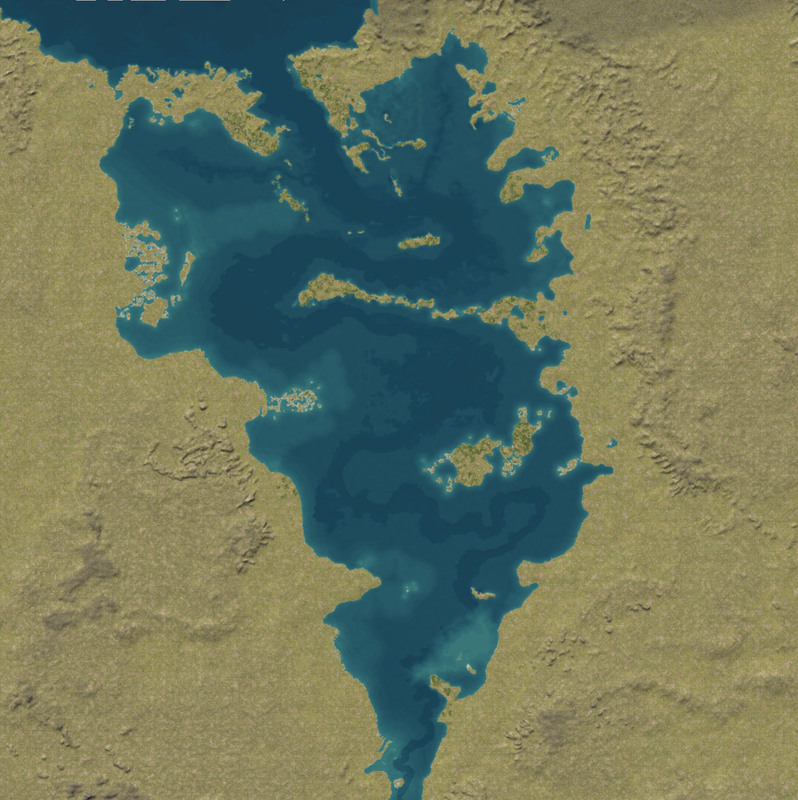 Would be awesome if you could make updated maps of the rest of Midgard, with the same texturing style and proper borderlines between countries (felt it was really hard to see the borders in the Midgard Campaign Setting book). Really quite liked the maps in the Southlands book.